BlueAir - Pro L: Air Purifier Review • The Air Geeks, reviews of air conditioners, dehumidifiers and air purifiers. The air we breathe contains airborne pollutants that pose health risks or can make breathing difficult. The BlueAir Pro L Air Purifier is designed to ensure that airborne contaminants such as dust, pollen, pet dander, tobacco, bacteria and viruses are removed from the air in your room, thereby allowing you to enjoy clean and fresh air. This unit uses a HEPA filter that is capable of removing up to 99.97% of particles from the air in your room. In case you have identified the BlueAir Pro L as a potential solution to your air cleaning needs, then it is likely that you are greatly interested in knowing more about it before you place your order. Here, we have tested this air purifier and researched on its features and performance. Additionally, we have compiled its strengths and weaknesses to help you make a firm decision. The BlueAir Pro L is a strong air purifier that is suitable for medium to large spaces, ranging between 700 and 800 square feet. Its sleek design makes it a fit for homes, offices, lobbies, labs, and so on. This air purifier utilizes the True HEPA particle filter and can capture up to 99.97% of allergens, dust, mold, pollen, pet dander, smoke particles, bacteria and viruses. This ensures that the air in your room is clean, fresh, and healthy for you and the people around you. Are you looking for an air purifier that allows you to select a filter depending on the air pollutants you are targeting? Well, this air purifier offers two alternatives. You can go for the air purifier with Particle Filter if your target pollutants are dust, pollen, pet dander, bacteria or viruses. Alternatively, you can choose the BlueAir Pro L fitted with the SmokeStop Filter that helps in absorbing gaseous pollutants such as tobacco smoke and volatile organic compounds. Whichever filter you choose, it is recommended that you replace it after every 6 months. Apart from True HEPA filtration, this air purifier has an active carbon filter. Unlike many other air purifiers that use regular activated carbon, the BlueAir Pro L uses special coconut shell activated carbon, which is the best for absorbing volatile chemicals. The effectiveness of this filter is enhanced by the presence of magnesium and copper. The two are integrated to improve its ability to break down hard chemicals. In case you are looking for an “intelligent” air purifier, then you should consider this unit. It monitors the quality of air in your room and adjusts the speed of the fan depending on the amount of airborne contaminants that it detects. 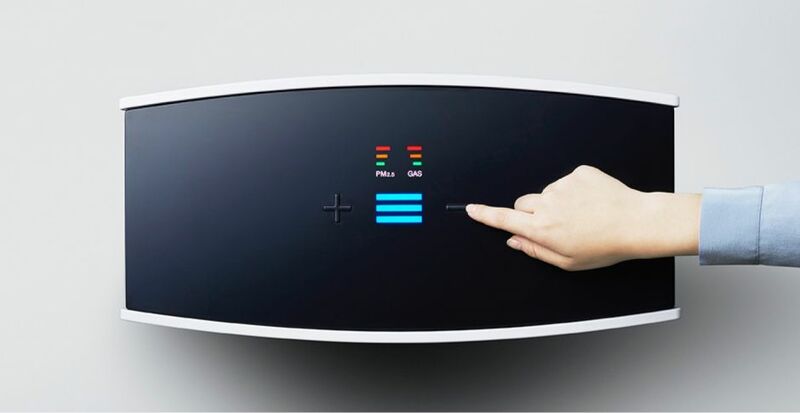 Moreover, it is easy to control this air purifier. The performance of an air purifier is greatly determined by its fans. To deliver the performance demanded by your room, this unit features German engineered fans. These fans are optimized to allow maximum air flow. Moreover, these powerful fans do not produce excess noise when the air purifier is running. Are you concerned about the noise that this unit produces when it is running? Well, this air purifier is quiet when operating on the low and medium speeds. On high speed setting, this air purifier produces a loud sound that may be disturbing to people who are highly sensitive to noise. Highly effective – the HepaSilent technology applied in this air purifier ensures that the air that passes through it is rid of a wide range of pollutants, making it safe for breathing. Impressive carbon filter – this air purifier uses coconut shell activated carbon which is the best solutions for absorbing volatile chemicals. It is also impregnated with copper and magnesium to make it more effective in breaking hard chemicals. Noisy when on high setting – when set on the high-speed mode, this air purifier gets loud and noisy. Maintenance can be costly – the manufacturer recommends that the filters should get replaced after every six months. Although this depends on the use and the environment, the cost of replacing filters can be relatively high. This unit is relatively bulky – this air purifier is bulky to be carried by one person when it is packed. As such, it requires more than one person to carry it to the preferred location. I am highly interested in the proper filtration of air and water, as these are of the most important elements for our physical existence, yet we can liver much longer without water than without air. We take in a new breath of air every few seconds, which then gets filtered out by the lungs. First I will say that most air filter companies out there don't really provide much scientific detail or testing on the way their system works, beyond just basic description of the stages and all are pretty much the same thing in a different wrapper, not much research has gone into proper air flow, powerful silent motors, scientifically correct placement and amount/quality of filtration media, proper insulation so no dirty air channels through holes and cracks in the frame, etc. After much in-depth research, I ended up with a choice between AirIQ and Blueair. After contacting AirIQ with some scientific questions, first impression was that their support reps are overworked and rush through your questions, second, AirIQ mails their filter media cartridges exposed to air, which is not good. It's a fact that carbon and other filtration media will readily absorb contaminants from the atmosphere unless properly sealed before it gets to you, thereby, shortening the capacity/life of the filter media prematurely. Furthermore, their technical department had no idea how to answer my questions, and did not return phone calls. I was totally turned off by their energy and lack of knowledge. Now, after calling Blueair support team, it was like a breath of fresh air. The were patient, genuine, explained their system in detail, and pointed me to a scientific, yet easy to understand video on their website, which is what played the deciding factor in choosing them over AirIQ: "
I know it's a bit pricey, but it's a quality, study and efficient air cleaning system. It's quietly, energy efficient, and true to its word on performance! This product has greatly reduced the amount of times I have to vacuum and dust. It also makes a huge difference when owning a dog that sheds constantly. I highly recommend to anyone and everyone!" The BlueAir Pro L air purifier is a powerful air cleaning solution that is suitable for homes, offices, labs and so on. This unit is designed to remove allergens, dust, pollen, pet dander, tobacco smoke, bacteria and viruses from the air in your room. Applying the HepaSilent technology, this unit is capable of removing up to 99.97% of air contaminants. This air purifier is suitable for medium to large spaces that range between 700 square feet and 800 square feet. This could be your large office, lobby, conference room, or any other large room. The carbon filter of this air purifier comprises of a coconut shell that boosts its ability to absorb volatile chemicals. In addition, this filter is filled with copper and magnesium to improve its ability to break hard chemicals. 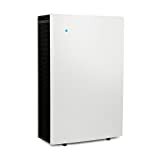 Now that you have the information on BlueAir Pro L air purifier, you can go ahead and decide if it is suitable for your air cleaning needs or not. The choice is yours!